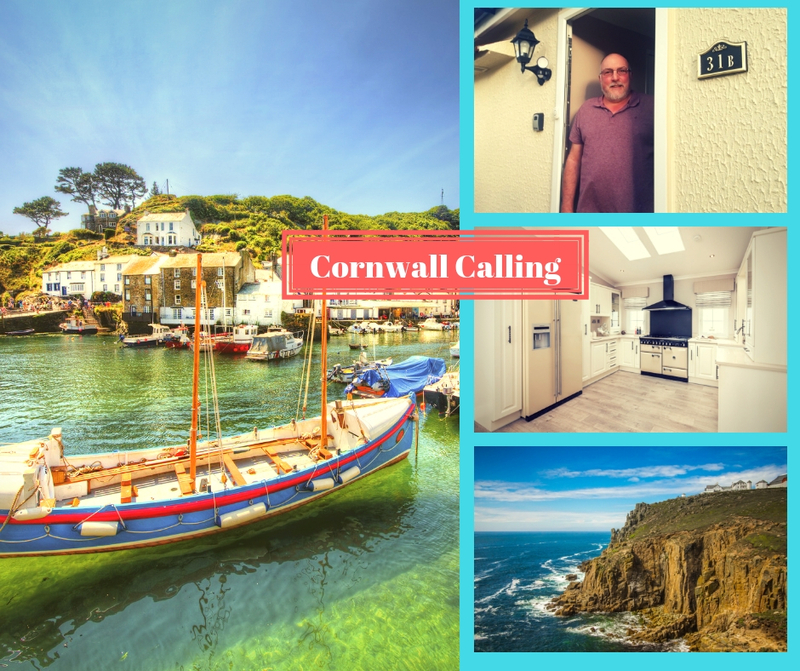 Picture perfect Cornwall has been a holidaymaker’s favorite for generations now! Its UK’s surfing home and boasts of quaint villages, spectacular celebrity chef restaurants and of course endless sandy beaches. It is as expected one of the most sought-after areas to retire to and not surprisingly we have 8 residential parks in Cornwall with a couple more on the way. We have been speaking to some of our residents in Cornwall and would like to share Mike’s story with you! “Forty is the old age of youth; fifty the youth of old age” Victor Hugo. There couldn’t be a more apt line to introduce you to the lively Mr. Mike Payne, 52 years old and a resident of our Little Trelower Park, Cornwall. He lives with his girlfriend, the lovely Jackie. Mr. Payne moved in last December from a two-bedroom house in Ashurst, New Forest (Hampshire) where he lived with his children and grandchildren. His main reason for moving to the South-West was his love for Cornwall, yes – he just loves the area so much that he decided to spend the rest of his life there. He used to visit Cornwall often when he was living in New Forest and he just made up his mind to move there permanently. He mentioned that the most important things to get right were the location of the plot and the home, especially the size of the plot and the size of the home. His conditions were more than met when he visited this park and fell in love with the surroundings, the views and most importantly his home which he said is spacious and just lovely. He says he has loved this transition and his new life. The added advantage he says (which a lot of residents always mention) is, “how close-knit the community on the park is, just like times-gone-by. You would probably reminisce how your town was decades ago, with a much smaller population and everyone knew everyone and cared about each other”. They love the complete change in lifestyle and the walks and the beaches and the endless exploration opportunities around them! With the great summer that we have had, they feel it’s been almost like spending your summer abroad! So all in all, Mike and Jackie couldn’t be happier and feel grateful about the way their decision turned out. They did want us to convey to our chairman that he would love some redevelopment work in his park! Our lovely Little Trelower Park has spectacular views over the open countryside and is very popular with our residents. It has a thriving community and is a quite a small cozy park with about 45 homes, all with large plots. For convenience, there is a bus stop right outside the park entrance and the local village of Sticker has a post office, general store, and pub. Lovely St Austell is less than three miles away and offers a range of local shopping facilities, amenities and train station. We just have 1 home left on this park and it’s been reduced to 99,995 and is simply not to be missed! Why not see for yourself, please get in touch with us and book a visit this lovely home today! sms HOME to 82228 or visit our website https://www.wyldecrestparks.co.uk/property_location/little-trelower-park/ or call us at 03301337300.